Flamenco Dancer In Seville iphone x case by Carl Purcell. Protect your iPhone X with an impact-resistant, slim-profile, hard-shell case. The image is printed directly onto the case and wrapped around the edges for a beautiful presentation. Simply snap the case onto your iPhone X for instant protection and direct access to all of the phone's features! You have caught it!! 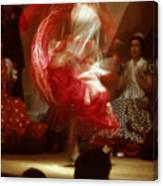 the "Duende", that natural spiritual fire that only the true "Gitanos" have. Amazing shot. I know how difficult it is to catch this passion - I 've tried so hard, many times. Congratulations Carl. Thank you Sherry. Your comments are very kind. 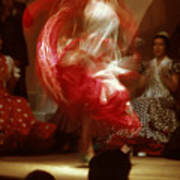 A flamenco dancer in a red and white dress becomes a blur of motion. 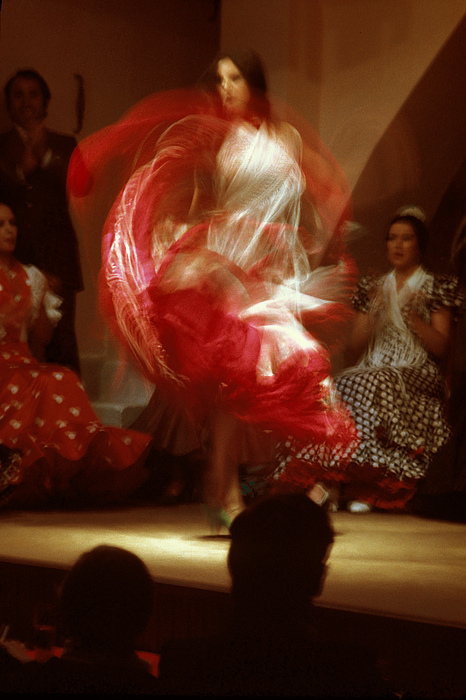 I took this shot with a slow shutter speed to capture the feeling of movement. As an art history major in college, I had been influenced by the French Impressionists.